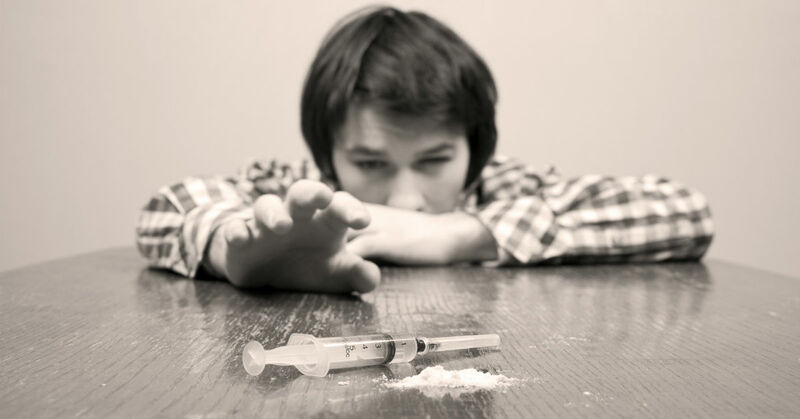 It can be devastating to discover that your teen has been abusing drugs. You have to determine the extent of the problem and figure out the best way to support your child, while dealing with your own feelings of anger, shame, fear and worry. There are a number of ways that you can handle this tricky situation and help your son get back on track to a healthy life. Love Him– You may feel as though you no longer recognize your teen, but it is important to remember that he is still your child and he needs to feel your love, no matter what he has done. Do what you can to set aside your anger, fear and disappointment in order to make sure he knows that you care deeply about him and every decision you make about his care stems from that. You will likely have more influence if you back up your words with regular actions as well. Encourage his strengths – Many teens turn to drugs because they have low self esteem or are unsure of where they fit in their social group. Strengthen your connection with him by recognizing the things he does particularly well. Talk – Most drug abuse stems from underlying causes. It is helpful if parents can pinpoint that in order to help solve the problem. Teens are often known for their disinclination to confide in their parents, but do not let that stop you from keeping the channels of communication open as much as possible. You never know when your teen might need the opportunity to open up without knowing how to start. Get qualified help – Make an appointment with a psychiatrist or therapist who has experience with teen substance abuse and get a comprehensive evaluation. It may also help you to find a therapist to talk to in order to work through the emotions and questions that come with helping your teen fix a drug problem. Work with the school – Your teen is not the first one his school system has seen with drug issues. Many schools have substance abuse programs that you can access as well as other support to help your son get through this time in his life. Use whatever resources are available. Set limits – Drug abuse and legal issues often go hand in hand. Decide ahead of time what you will and will not do if your teen gets into legal trouble because of drugs. Tell him what your limits are and be prepared to follow through. It is still possible to be a loving and supportive parent, while letting the justice system make the final call in certain situations. Be prepared to take it to the next level – Some teens are physically and mentally unable to stop using drugs and even the most conscientious parent can’t do what they need at home. Residential treatment centers are designed to be a full time, therapeutic environment where teens can get to the bottom of their drug use and immerse themselves in learning coping skills for the future. The idea of sending your teen away, even temporarily, can be intimidating, but may also be the most effective path to healing. Liahona Academy is a residential facility in southern Utah, which specializes in helping teen boys overcome mental and behavioral issues, including drug abuse. If you would like to discuss our program, please contact us for a free consultation at 1-800-675-8101.